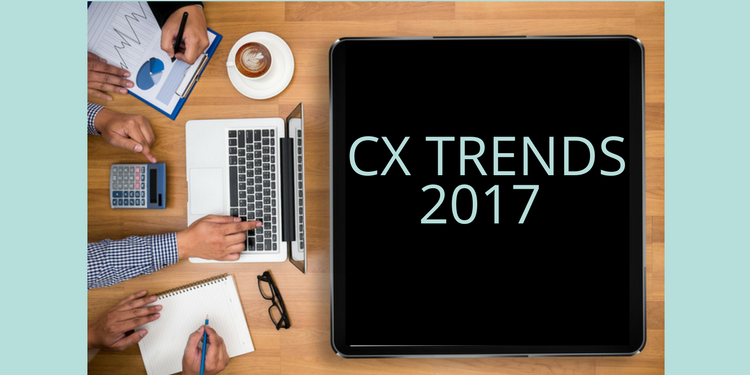 As we enter 2017, what trends are shaping how companies are treating Customer Experience (CX)? What obstacles, challenges or blind spots will Marketing, Customer Success and Customer Support leaders likely run into when trying to improve CX? And, how can they do CX better? These are the questions we asked people who live, breath and develop CX for companies around the world. We also sourced trends from places like UserIQ and Forrester, for a more holistic view of what 2017 has in store for us. How will Customer Experience develop over the next year? Here are their answers, predictions, and suggestions. Feeling a little… emotional? Emotion is emerging as the dominant trend in CX, and if you’ll forgive the pun, we’re feeling it. “The single most important thing that companies that are already well along on their CX transformations can do is to understand and embrace the importance of emotion in CX. In Episode 73 of Forrester’s CX podcast, they recapped the highlights of Forrester’s annual CXSF forum, in which a key theme was how CX pros are using technology more and more to deliver emotionally engaging experiences. Don’t underestimate the link between emotion and customer loyalty. The Product team at Freshdesk shared some very interesting insights into CX and CS, from the customer support angle. Karthik Kalyanasundaram, Director, Product Management, sees self-service as a rising trend, “People are more inclined to resolve their own service/product-related issues than reaching out to an agent.” And, Artificial Intelligence (AI) and Machine Learning (ML) are hot buzzwords for a reason. The chatbots they drive will help customers by doing a better job of predicting what they are looking for and serving up potential solutions to their issues. And, like in so many futuristic films, that AI support will follow us everywhere “as more and more companies become social and start supporting customers in native environments like Messenger, Whatsapp, etc.” This trend is all about convenience for the customer, being wherever they want to engage. No, we haven’t reached Westworld-like AI yet – in 2017 machine learning will most likely just help businesses prioritize conversations with customers and engage more intelligently with users, as they become more context-aware. But increasing sophistication is on the horizon. What are agents to do as the chatbots take over? Become more proactive, more human – essentially, move into Customer Success. Not an easy transition, it turns out. In UserIQ’s The State of Customer Success and Trends for 2017 webinar, they predicted that Customer Success teams will get a better handle on being proactive (versus reactive) as they improve their customer health data-gathering and analysis. Could the bots actually help us improve human connection? Looks like it. Sounds like the most effective social media videos will be those that not only leverage moving pictures, but also authentic, moving stories from brand advocates. Companies that are already identifying their promoters will have the edge. “1) Hero-Dependent CX: That’s when a company has no discipline around the way it manages CX but does have some employees who have great empathy for customers. These employees will work their fingers to the bone and battle their own companies to provide great CX. This is totally unsustainable, very inefficient, and burns out your best employees. 2) Rigid CX: This is the opposite of #1. These are the companies that have a rule and a pigeonhole for everything. They are so proud of their detailed scripts and massive process maps. These companies have sucked all possible empathy out of the customer experience and can’t deal with any CX eventuality that falls outside their predetermined processes. But, if 2017 represents nothing else, it represents hope – hope that things will improve, that we can take our mistakes of last year and turn them into learning opportunities. And, in that spirit, here is straight-from-the-experts advice for improving your CX in 2017. “The biggest bang for the buck is time and money spent on the quantitative and qualitative research necessary for understanding customers and then disseminating that information throughout the company. A real foundational understanding of your customers that is shared by everyone is the essential foundation of everything else. All the technology in the world won’t improve a company’s CX without this foundation. The single most important thing that companies that are just starting their CX transformation can do is to understand that they need to improve their CX systematically along two main variables: discipline and empathy. Empathy and emotion on one end, AI-driven “bots” on the other – they seem like they couldn’t be more different. But all serve one common purpose, improving the customer’s experience. Giving customers the tools to do more for themselves, but supporting them with genuine, empathetic human interaction when they run into trouble. We’re far from perfecting human interaction, but 2017 will evolve our ability to grow and retain customers through seamless customer experience. Signup for free Net Promoter Score feedback with Wootric.